TakeOver: Blackpool promises to be good! On tonight's edition of WWE NXT UK, another title match was made official for the first ever edition of NXT UK TakeOver, TakeOver: Blackpool. 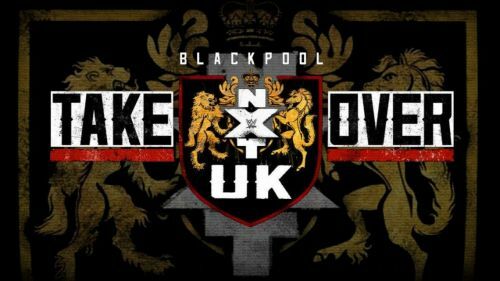 NXT TakeOver: Blackpool will be the very first TakeOver event under the NXT UK banner. Following the inauguration of the NXT UK brand, WWE COO, Triple H announced the very first TakeOver for NXT UK. Thus far, NXT UK Champion, Pete Dunne is confirmed to defend his NXT UK Championship against Joe Coffey, whereas, the duo of Tyler Bate and Trent Seven- collectively known as Moustache Mountain- will challenge The Grizzled Young Veterans to crown the first ever NXT UK Tag Team Champion. Elsewhere, a No DQ match between Dave Mastiff and Eddie Dennis has also been confirmed for the show as well. Following the inauguration of the NXT UK brand, Rhea Ripley along with seven other women took part in a tournament to crown the first ever NXT UK Women's Champion. Having beaten the likes of Xia Brookside, Dakota Kai, and Toni Storm in the finals, Ripley eventually became the very first NXT UK Women's Champion in history. Ripley, who has successfully defended the titles against the likes of Dakota Kai, Isla Dawn, and very recently against Deonna Purrazzo, is all set to put her title on the line against Toni Storm in a rematch at the upcoming NXT TakeOver: Blackpool event. Having won the second edition of The Mae Young Classic, Storm declared herself as the next title challenger to Ripley on this week's edition of WWE NXT UK.